Swan Mountain Snowmobiling is the latest addition to the Swan Group of Companies, which is a family-run group of companies focused on outdoor recreation in Northwest Montana. Swan Mountain Outfitters was created by combining the business activities of several established outfits acquired over the last decade. In 1999, Pat and Joanne Tabor purchased Swan Mountain Ranch and in 2005 Lion Creek Outfitters and merged the operations to form Swan Mountain Outfitters. In 2006, Swan Mountain Outfitters purchased Mule Shoe Outfitters securing the exclusive contract to provide horseback rides in Glacier National Park. In 2010, the company acquired Great Northern Llama and formed Swan Mountain Llama Trekking. In 2013, the company acquired the Rawhide Trading Post and Trail Ride operation and created the Crown of the Continent Discovery Center, and opened its fifth trail ride corral. That same year, the company was fortunate to compete for and win the new permit issued for the provision of snowmobile tours throughout the Flathead National Forest, and so Swan Mountain Snowmobiling was formed. And finally, most recently the company acquired Salmon Forks Outfitters in order to be able to offer premium fishing and pack trips within the interior of the Bob Marshall Wilderness. Swan Mountain Outfitters has emerged as the largest horseback service provider in Montana. 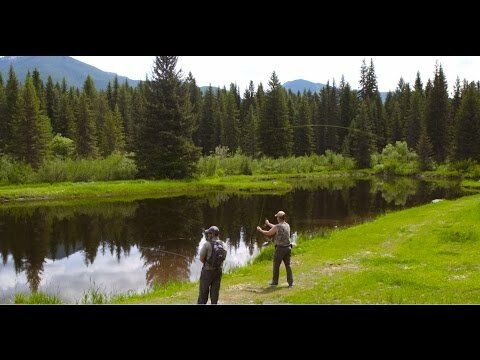 Join us on a Montana vacation!